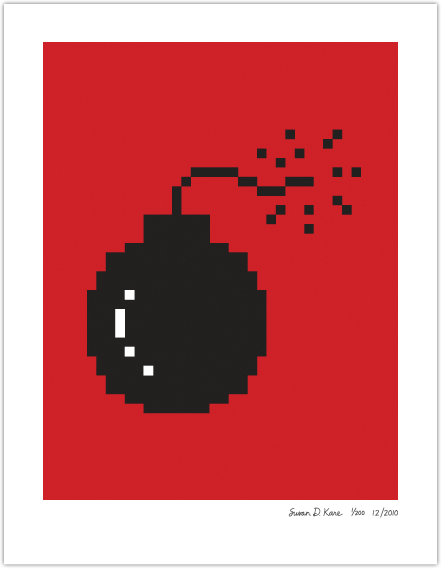 Susan Kare, who designed the original Apple Macintosh icons, is selling a series of prints of her classic icons. The bomb was designed to represent a system failure — and I was told that no one would ever be likely to see it. Unfortunately, that wasn’t the case. Once a phone call came into the Mac software group: a woman had seen the icon on her screen and was extremely concerned that her computer might explode!